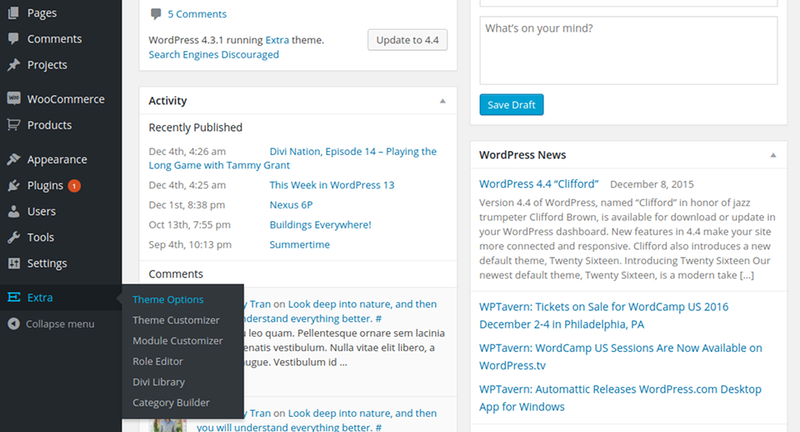 Extra > Theme Customizer and Extra > Module Customizer links in your WordPress Dashboard. The Theme Customizer gives you control over site-wide theme elements, such as your menu & logo size or your body and header text styles. The Module Customizer gives you size & font controls over individual modules. Do you want to reduce the height of all the slider modules on your website? That can be done in just a few seconds via the Module Customizer! Let’s take a closer look. The Module Customizer works just like the Theme Customizer, except it focuses on the customization of individual modules as opposed to general website elements. When you open up the Module Customizer, you will see a separate panel for each of the Divi Builder modules. Opening up these panels will reveal customizer controls that can be used to adjust the spacing and typography of each module across your entire website. For example, if you think that the FullWidth Slider Module’s default settings have too much padding, you can simply open the Fullwidth Slider panel and adjust the padding slider. Now whenever you add a new Fullwidth Slider to a page, the customized padding value will be reflected. There’s no need to use a Child Theme or adjust the Advanced Module settings for the individual module. The Module Customizer is a collection of global module controls.